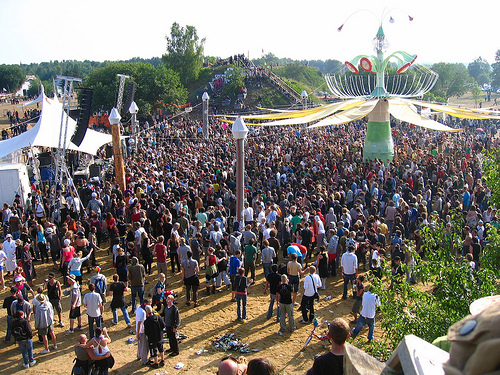 End of June - every year the same procedure… On a former Russian military airfield in the middle of nowhere in the fields of northern Germany FUSION arises, the biggest holiday and party camp all over the place. 4 days of holiday communism is the motto and as such the programme covers it all. Rumor was 40k people by sunday.